For the seventh consecutive year, the FHT once again shone a spotlight on those practitioners, tutors and students setting the bar in therapy practice and education at its prestigious 2017 FHT Excellence Awards. Held on 17 November at the historic Royal Pump Rooms in Leamington Spa, the awards aim to highlight the success stories behind each winner, to inspire others within the industry and encourage key influencers in health and social care to ‘think outside the box’ and consider how different therapies could be used alongside standard medical care to support the nation’s health and wellbeing. Sue Kinsella RGN, Head of Nursing Services at RedArc, attended the event with a colleague and commented, ‘At RedArc we refer to the FHT’s Accredited Register to source qualified and professional therapists to support our patients. It was great to attend the Excellence Awards presentation and gain insight into how some of FHT’s members help improve people’s health and wellbeing and make such a difference to their lives’. FHT Complementary Therapist of the Year – Barbara Scott For researching and developing a reflexology treatment protocol and training course, in order to support couples struggling to conceive. FHT Beauty Therapist of the Year – Cristina Coelho For her commitment to providing holistic and person-centred treatments to clients with conditions impacting their skin health and self-esteem. FHT Sports Therapist of the Year – Sheree Phelps For supporting the needs of a wide range of clients, from hospital surgeons to sports professionals, and her commitment to professional development. FHT Local Support Group Coordinator of the Year – Nicky Gee For her commitment to providing support and informative group meetings for local FHT members and the wider community in the Blackpool area. FHT Student of the Year – Stacey Radcliffe For her drive and commitment to completing a complementary therapy degree, despite multiple setbacks, including serious ill-health. FHT Tutor of the Year – Lorraine Senior For developing a framework for qualified reflexologists to support children and adults with autism, learning difficulties and special educational needs. In addition, two special FHT President’s Awards were announced this year. 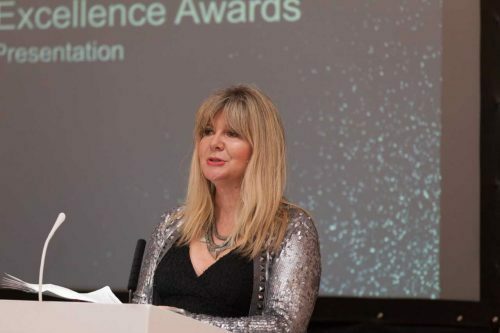 The first was awarded in memory of the late Professor George Lewith, for his outstanding contribution to integrated healthcare and the complementary therapy industry. The second was awarded to Gill Morris, for her outstanding contribution to the beauty therapy industry. Congratulations also to Emma Holly and Anne Marie-Rose, who both received Highly Commended awards for the Complementary Therapist of the Year category. Emma received this in recognition of her work with clients affected by painful and unsightly scar tissue, and Anne-Marie for supporting local carers and charities. 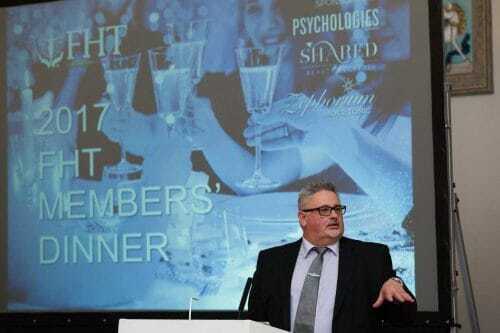 The 2017 FHT Excellence Awards were kindly sponsored by Psychologies Magazine, Shared Beauty Secrets and Zephorium.